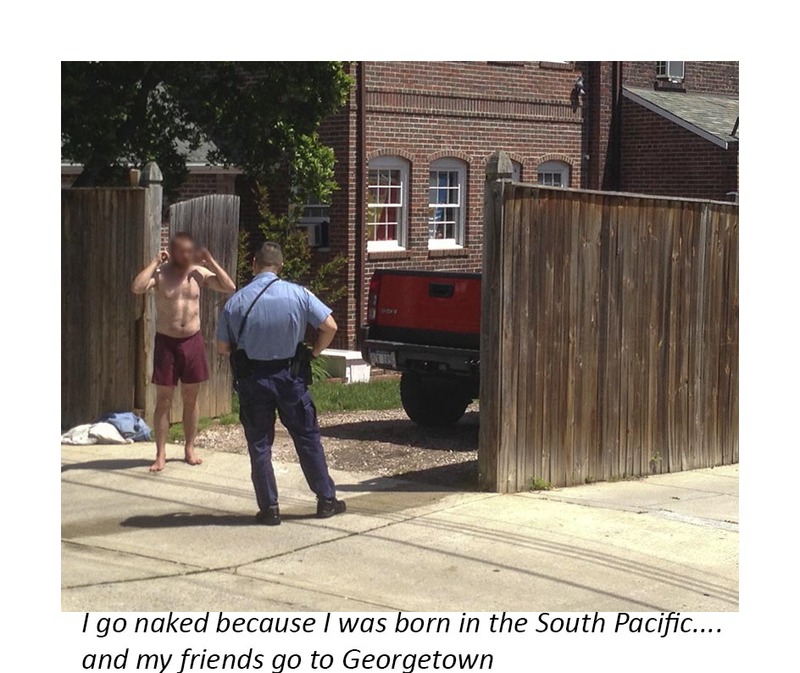 As I walked out of my house on Saturday AM, this young man was telling the policeman (who had his hand on his gun) that he had been born in the South Pacific...hence his propensity for getting naked and throwing bricks. This may be a new low in behavior standards for Georgetown if there are any. This naked man was throwing bricks at cars and brandishing a garden hose. Not surprisingly, he came from 1900 37th Street NW (pictured). While the occupants of the house claim not to know the fellow, he sure looked like he had been invited. As he was arrested, the occupants didn't make much of it. After disturbing the neighborhood all Friday night and then having the arrest on their property, they went on drinking, hooting and high-fiving each other through Saturday afternoon. They then drove off about six PM to date some lucky young woman. It could be another funny incident involving drunks except that the policeman had his hand on his gun and was clearly upset. 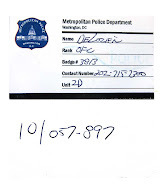 In the end, four police cars and eight policeman were involved and the cost to the community was probably close to a thousand dollars in police time alone. There have been over twenty incidents at this house over the past year and the cost to taxpayers has been in the tens of thousands. How's that Community Partnership coming along? How's the survey doing?